Fancy watching a movie? 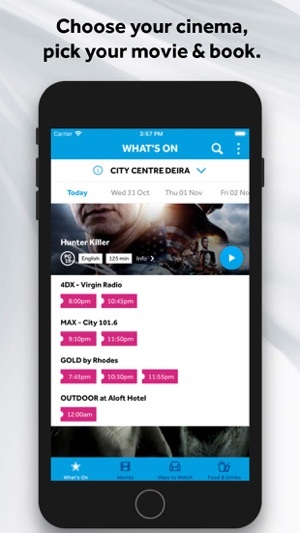 Download the new VOX Cinemas app to book ahead of time and beat that ticket queue! 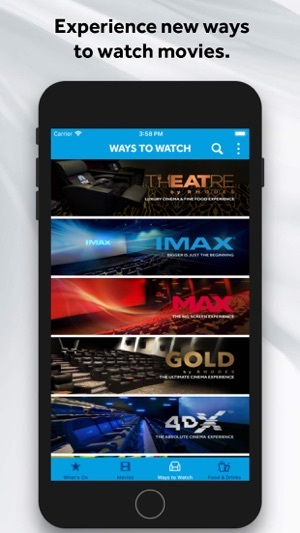 We’ve made browsing and booking a movie easier than ever, right from your iPhone or iPad. 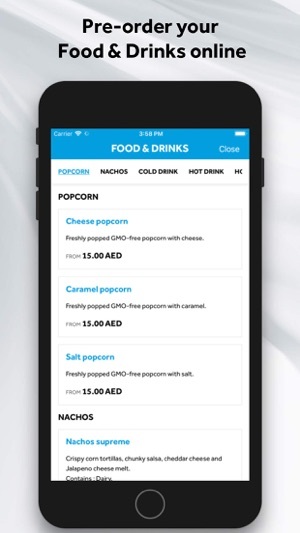 Check showtimes, book tickets, and discover more about movies showing in UAE, Oman, Bahrain, Qatar, Egypt and Lebanon. 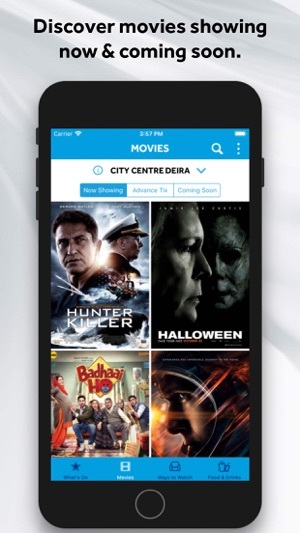 Whether you’re browsing around the mall or planning a film night, check which movies are on and avoid the ticket queues by booking with our brand new app! 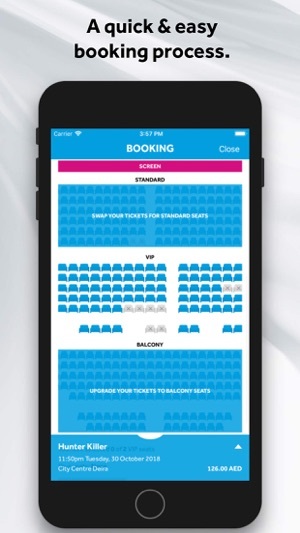 *You can now book movie tickets in Saudi Arabia. *Arabic is now available as a language preference in Saudi Arabia. *Minor bug fixes and performance improvements. (Like cinescape) refunds are not given via credit card refund its a coupon that goes in to your account and you can use it later for future reservations. 2. You need to update your countries VOX cinemas opened in Kuwait and KSA and we have to use the website to book our tickets. 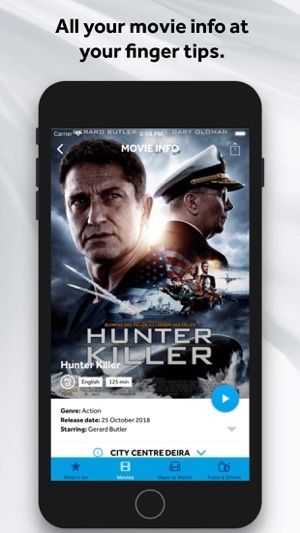 Overall its a great app and an even better cinema enjoy. When searching for multiple showings on the same date (future date) it constantly refreshes bringing you back to the current date. If you aren't VERY careful, you can end up booking a show on the day you are searching rather than your intended future date. And VOX will not refund your money or even allow you credit for another show. Terrible app, worse customer service. The app works perfectly. Just got tickets and it worked without any issues. Good to quickly check movie times also.